As global coffee prices languish near their lowest level in nearly 13 years, farmers are wondering whether it’s worth growing beans at all. Over the past year, the amount Gafeto gets for a kilogram of coffee beans has fallen a third to 8 birr, or just 29c, reducing his income from a cappuccino sold in the West for $3 to $4 to under a cent. Unlike producers of commodities such as oil and natural gas, coffee farmers have long suffered from being at the wrong end of the value chain — receiving only a small fraction of the retail price of their crop. “It is labour intensive and costly. They were struggling as things were before, let alone now prices have gone down. We fear they could abandon the crop en masse,” said Desalegn Demissie, head of the Shebedino co-operative development office. Millennials in the West who grew up with Starbucks drink lots and have fuelled a proliferation of coffee shops and pricey innovations from cold brew to nitrogen coffee. Some companies are responding. Starbucks, for example, has committed $20m to help smallholders they do business with in Central America until coffee prices rise above their cost of production. “For us that is an initial step, acknowledging we need to do something helpful in the near term in the countries that need it most,” said Michelle Burns, head of coffee at Starbucks, which buys about 3% of the world’s coffee. The main factor behind the latest slide in prices was a bumper coffee crop in Brazil, by far the world’s biggest producer. The Brazilian harvest hit the price of arabica beans traded in New York at the ICE Futures US Exchange. On September 18, a kilogram of arabica fell to just $2.09, a level not seen since December 2005 and less than a third of the peak in 2011. Four months later, the price is not much higher. For Gafeto and the 4,500 other farmers in the co-operative he helped establish in Ethiopia, the fluctuations in financial markets in New York quickly feed through to prices at home. “There hasn’t been a really significant change in how coffee has been transported, purchased or produced in many decades. It has always just been extracted from the country,” said Rob Terenzi, co-founder of Vega Coffee in the US. “Fairtrade is good but it is just a better way in an unfair market system. You have to change the rules completely to make a difference to the farmers,” said Xaver Kitzinger, co-founder of Kaffee-Kooperative.de. 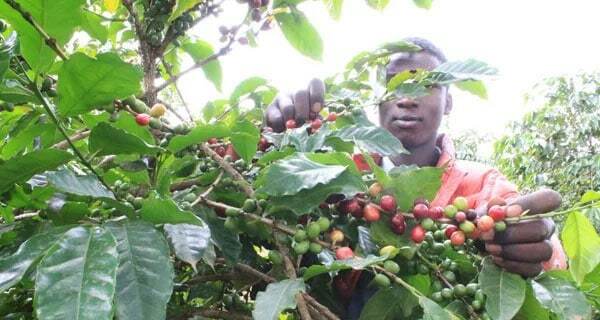 The German company has partnered with a co-operative in Rwanda to sell coffee which is not only grown in the East African country but also washed, roasted and packaged before being shipped to Europe. Terenzi said farmers working with Vega could earn up to $11 a kilogram although that would be for a completely finished product which had been dried, selected, roasted, packaged — even up to putting the postage on the box. Swiss food giant Nestle said there needed to be a collective, constructive approach across the industry to improve the lot of farmers around the world. “Addressing underlying issues to the current crisis is beyond the scope of any one company’s actions,” it said.